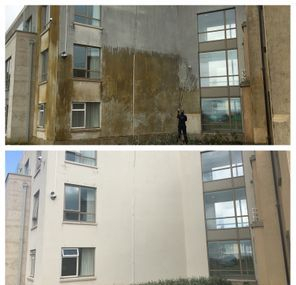 Treatment of Algae and other biological contamination on a buildings external envelope. 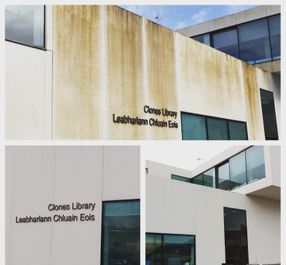 Discolouration and staining of a buildings exterior is often caused by Algae and Mould contamination, which left to spread will give the building a tired and dirty appearance. 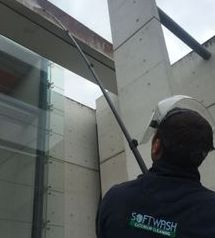 Softwash Exterior Cleaning specialise in the cleaning and treatment of such contaminants on all forms of building materials including Renders, Stone, Pebble dashing, Concrete, Wood and more..
Each job is carefully surveyed and the right approach and cleaning technique is chosen after factors such as location, accessibility, material and contamination types have all been taken into consideration. 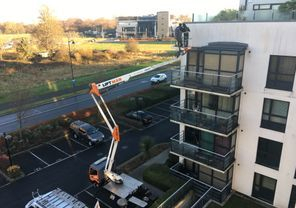 All of our exterior cleaning techniques have one common goal: To deep clean and treat without any risk of damage to the substrate. When a building's disfiguration is caused by inappropriate design details or dysfunctional components, its sensible to try and address them. Insufficient overhangs on sills and copings are common and easily rectified. Leaking gutters or overflowing downpipes will also contribute to a building fast becoming a breeding ground for Algae, Mould and other organisms. We will give you any appropriate recommendations we can during your initial consultation. 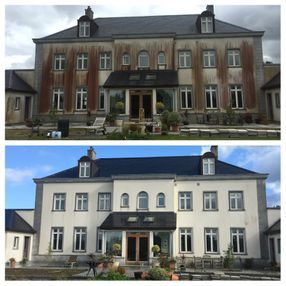 More times then not, a good deep cleaning of exterior surfaces such as coloured silicon renders, will sufficiently restore its appearance without the need for costly paint works. Where painting is a chosen requirement, our treatments ensure paints have the perfect canvas at which to adhere. 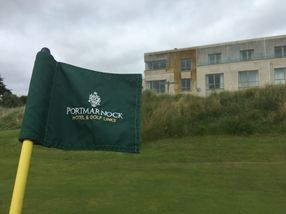 Book a free sample by calling us today..
Our portfolio of building cleaning includes a host of private residential properties, Apartment complexes, Schools, Hotels, Golf clubs and other business premises. Check out our gallery for more..